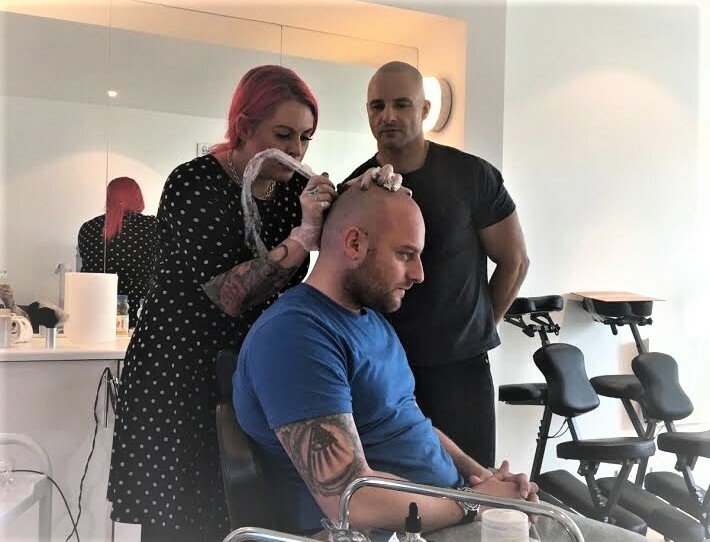 A pretty hefty study in the USA has just confirmed that bald is best when it comes to making an impression – specifically shaved heads. It will come as no surprise to any SMP wearer that yet another study has confirmed what we know to be true. That a shaved head is perceived in every way as superior to a full head of hair. Note that we are not claiming any of us would necessarily choose to be this way, but for us the series of experiments performed by a research team from University of Pennsylvania’s Wharton School points very clearly to a Darwinian advantage offered by our appearance with SMP, even when compared to a full head of hair, and definitely to the cruel patterns created on our heads by the ravages of male pattern baldness… which scored consistently the lowest across all the criteria measured. 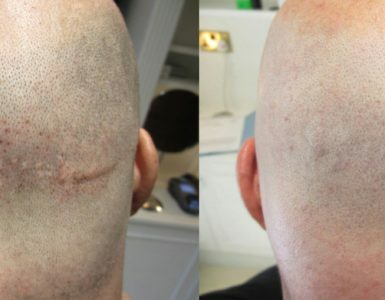 A team led by Data Scientist, Albert E Mannes, ran a series of three studies, each designed to improve understanding of how the appearance of a shaved head impacted on the people they meet and their lives in general. Study No. 1 saw 25 photographs of men shown to 59 people. The pictures were of men with all sorts of different hair lengths and styles and included 10 who had shaved their heads. As we have seen before in previous studies the bald men were considered more dominant than their hairy peers. No surprises there. Study No. 2 sought to refine the understanding. This time 344 people were shown photographs of just four men, with shots of them with their natural hair and others where their hair had been digitally removed to make them appear completely bald. As you would expect, the bald versions came out on top again when measured for dominance. But this time they study group were also asked to estimate the height of the person in the picture and comment on their strength. They attributed the bald version with being fully an inch taller and exactly 13% stronger than the version shown to them, of exactly the same man, with their hair on. Study No. 3 took the visual stimulus out of the equation completely. This time over 500 people were invited to make observations based on just a written description of a mans appearance. There were two versions of each description identical in every way except for the hair. Once again the bald version came out top in every category from masculinity and dominance to leadership and strength. The conclusion, for Albert Mannes at least, is that non-verbally a shaved head conveys an overwhelming range of strong signals. 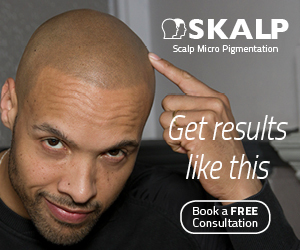 It follows then, that stepping out with an SMP is not just an improvement on male pattern baldness but actually top of the tree and above even our own selves with hair… even hair better than we ever had does not offer the bow wave in regards to positive visual impact that a Scalp Micropigmentation treatment can deliver. If you have questions regarding SMP then please use the icon at the top of the page to search our comprehensive database of posts on just about every facet of SMP. If you are struggling to find the answer there please feel free to contact me directly by clicking here. Picture provided by LGS Clinic, Birmingham, UK. Click here to visit their site.